Paypal (PYPL) is a publicly listed company on the NASDAQ. Up until recently it was a division of Ebay but in 2015 Ebay under activist investor pressure decide to split Paypal from Ebay. We have a decent Paypal position in our US equity portfolio because it has an industry leading payments business, attractive growth profile and great cash flow generation. Post the company split from Ebay, it became the largest pure play on online payments business in the world. 50% of its revenues are based in the US with the other half sourced internationally. Paypal is seeing competition from the likes of Square (SQ) however it is still too early to see if SQ is making material dent. Current market cap of $40 billion is comparable to companies the ASX20 but it is a fraction of market cap of large US banks or major tech companies like Google and Microsoft. We think it has the ability growth to be a multiple of where it is today. Its industry leading position in the online payments means that revenue growth is driven by overall growth of eCommerce as it takes market share from offline players. Near term scale up in mobile payments looks pretty exciting too. Its long association with Ebay meant it had an advantage to become the preferred checkout option for online sales for small businesses. Its strategy shift in the last few years to focus on large retailer’s checkout means that there will be a long runway for growth going forward. The shift to try to be THE standard for all online checkout option means that total addressable market has increased considerably. Recent wins like Macy’s and Woolworth (see WOW share price) in Australia shows example of large retailer opportunities around the globe. It can take a long time before technology companies hits wall of the law of large numbers. For example AAPL and GOOG has been growing double digits for a decade even as they become some of the largest companies in the Standard and Poors’ 500 (SP500). The company was created during the dot com era where a number of competitors tried to stake out their claim in the new found opportunities on the internet. Paypal came out the ashes of the dot com bubble where it became the undeniable leader in online payments. It gained scale and brand awareness. Its long association with Ebay created a high degree of consumer trust in the product. While the current position does not make competition insurmountable. We see Paypal as equivalent of Visa and MasterCard. There will always be competition in the case of American Express and Discover. However the network effect of industry leadership position means that future customers would prefer it over second or third positioned competitors. After all if you are retailer, you want the checkout option to be the most widely used option. Post financial crisis regulatory burden means that new competitors have a higher hurdle and costs to take on Paypal. Challengers like SQ are making headwinds but not scaling as you would expect. Current consensus sees current earnings of $1.50 and $1.77 next year. At first glance, the high PE ratio would make most investors balk. However we have a forward looking perspective on stocks. Revenue has been consistently growing at above 20%. Even as it trends down to our long term average of mid teens, its not a stretch for the company to grow into the current share price. A weak US dollar exchange rate will turbo charges its US earnings from overseas. A key criteria of our investments is that it is imperative that companies have the correct capital structure. During the split of Ebay and Paypal, Ebay took on most of the debt and PYPL balance sheet was kept clean so it can fund its future growth. The company does not have much debt at all on the balance sheet. Existing liabilities are customer liabilities which is offset by the receivables. Due to US double taxation structure where there are no imputation credits for dividends. The buyback is the most optimal method in returning earnings to shareholders. It announced an ongoing $2 billion share buyback program will be funded by debt. However this will be offset by the cash flow generation. The business generated around $2.5 billion in operating cashflow in 2015. Offset by $700 million in capex nets $1.8 billion free cashflow. This includes full add back of depreciation and amortization charges which was $350 million. This excludes the Xoom acquisition. It can be abit lower if a more conservative approach in adding back a portion of D&A charges. Broadly the buyback is covered by 1 year of cashflow. One criticism is that the current Paypal shares bought buyback can be considered high given the PE ration. However over the medium and long term outlook it looks ok although no overly cheap. But given the tax structure, either the cash build on the balance sheet or used for acquisition. Acquisition comes with its own risks in destroying shareholder value. It is a difficult fact to balance. We think the management sees long term value in the company and would rather deploy cash today for the buyback rather than wait down the track to spend it when the price is much higher. 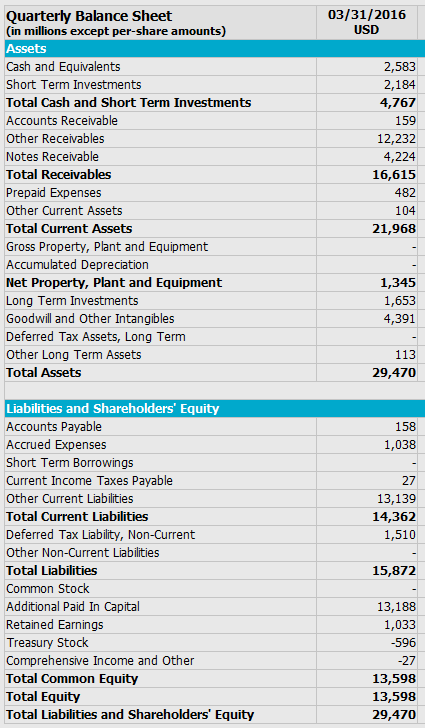 After all AAPL has record cash on balance sheet. How much value would AAPL created if it front loaded the buyback or evenly over the last 10 years rather than announcing it at the tail end after its share price had a record run? Long term holder of the stock owns a business that is growing at high teen digits, conservative balance sheet and a management team that returns capital to shareholders.